Coming on the heels of the recent announcement of his debut solo album Year Of The Tiger, Myles Kennedy has released the video for the title track. “Year Of The Tiger” premiered on Kennedy’s newly created YouTube channel this morning at: https://youtu.be/f3L9_6aJi2Q. The music video is directed by Dan Sturgess and is based on a concept that was created from a discussion between Kennedy and his manager. The video follows a reflective Kennedy as he travels through the memory of the loss of his father in 1974 – the year of the tiger. 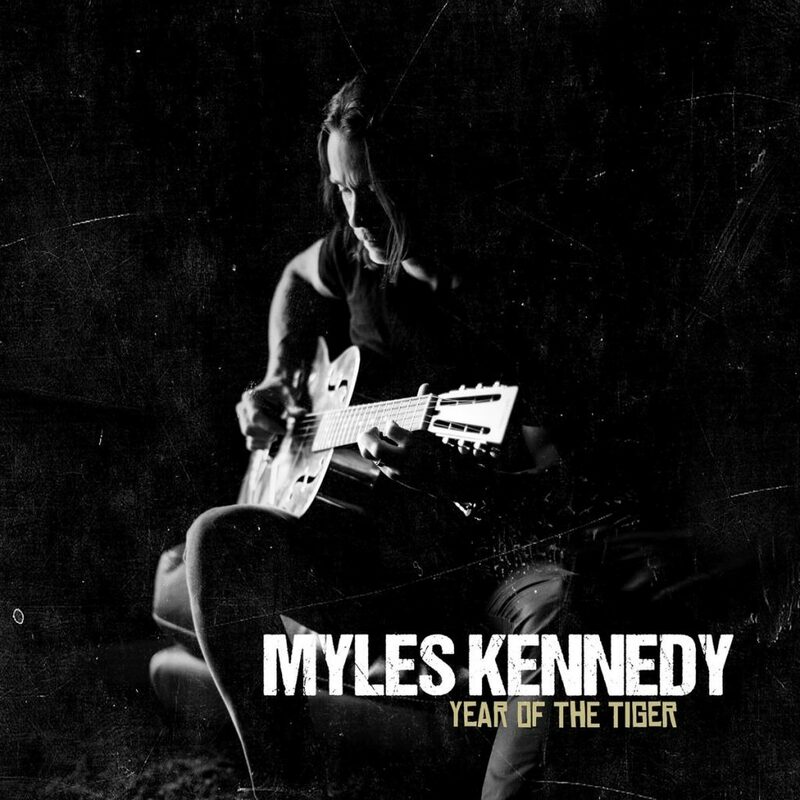 Year Of The Tiger is currently available for pre-order in various bundle configurations at: http://smarturl.it/YearOfTheTiger-NPR and www.MylesKennedy.com. Starting today, the album is also available for digital pre-order at: http://smarturl.it/MK-YearOfTheTiger and fans that order the album digitally will receive an instant download of the song “Year Of The Tiger”. The song is also available at all streaming services today including Spotify and Apple Music. Myles Kennedy burst on the music scene in 1990, but it wasn’t until 1995, through his band The Mayfield Four, that he gained some notoriety. It was when the Mayfield Four toured opening for hitmakers Creed that Myles Kennedy would meet Mark Tremonti, Brian Marshall and Scott Phillips. This meeting would eventually lead to the formation of Alter Bridge, the band that would become Myles’ calling card to the world. The band released their debut album One Day Remains that would end up being certified Gold by the RIAA and the band would go on to sell millions of records worldwide over the course of 5 studio albums with the band. In 2008, the legacy of Myles Kennedy was circling the music industry and eventually found its way to members of Led Zeppelin. A now legendary story, Myles was asked to jam with Jimmy Page, John Paul Jones and Jason Bonham for a potential project that never materialized. In 2009, Guns N’ Roses guitarist Slash was working on a solo project and tapped Myles Kennedy to do vocals on 2 songs on that release. That partnership would lead to Myles becoming the vocalist for his other rock band, Slash featuring Myles Kennedy and The Conspirators. They have released 2 albums under that moniker. This relationship would also lead to Myles Kennedy singing for the iconic Guns N’ Roses at their Rock & Roll Hall Of Fame induction in 2012 after band founder Axl Rose was unable to attend. Through Myles’ various projects, he has appeared on The Tonight Show; Jimmy Kimmel Live; Conan; has had music used by the WWE, Major League Baseball and NASCAR to name a few; and appeared in the motion picture Rock Star. 2018 will mark a new chapter in Myles’ career as he will be releasing his long-awaited debut solo album Year Of The Tiger. The album is a whole new direction for Myles creatively and showcases the talent that has made him one of the premiere frontmen in modern music today.